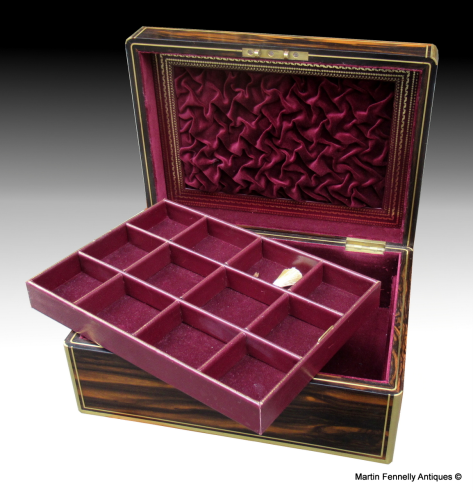 This is a superb early Victorian Coromandel brass bound Vanity/Jewellry Box, Circa 1850. 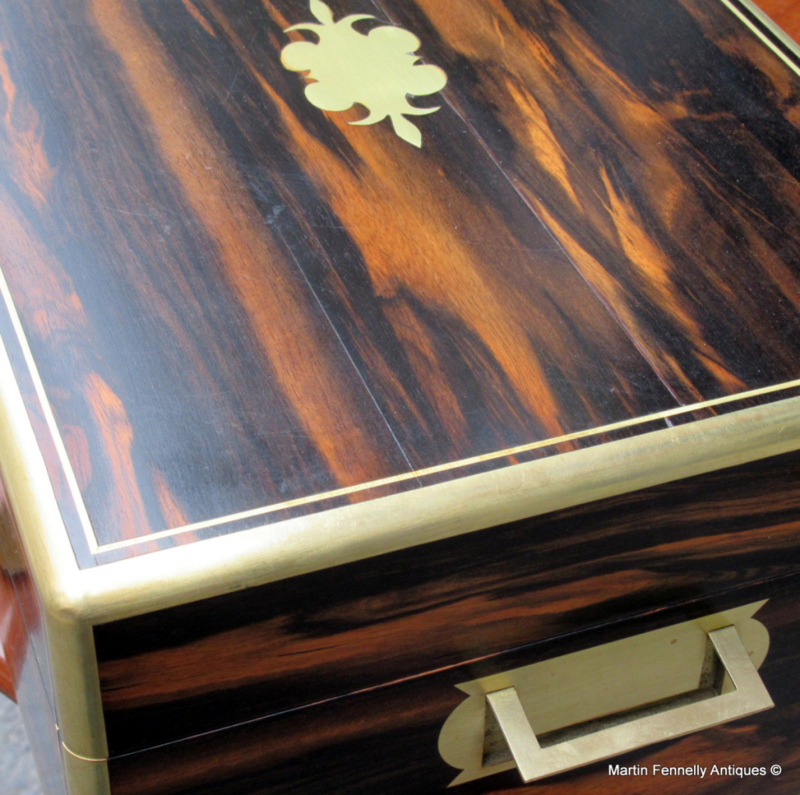 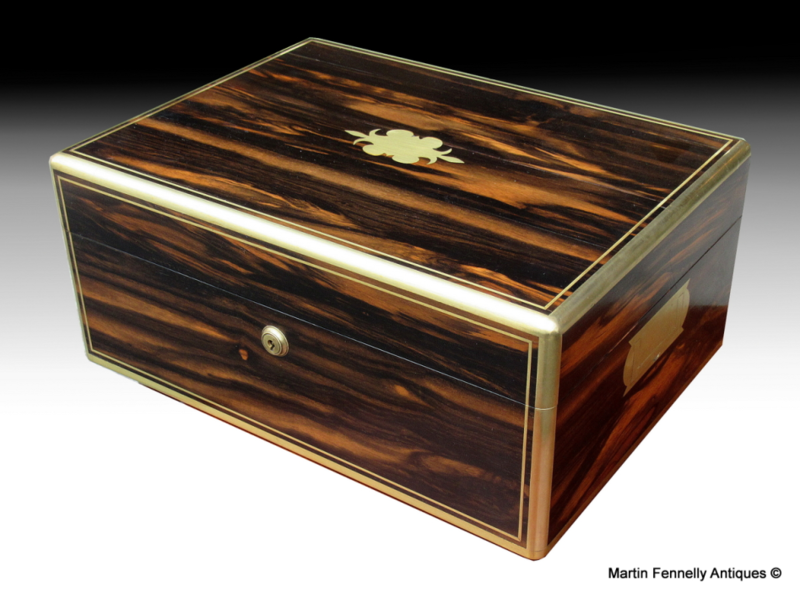 The box is made from Coromandel and bound in brass, with brass escutcheons to the top and front of the box. 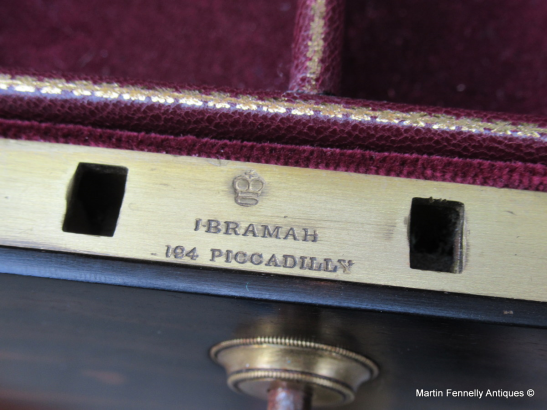 The front escutcheon also houses the working lock and key by the famed locksmith, Bramah of Piccadilly. It opens to reveal a sectioned interior tray which can be removed to reveal extra storage below. 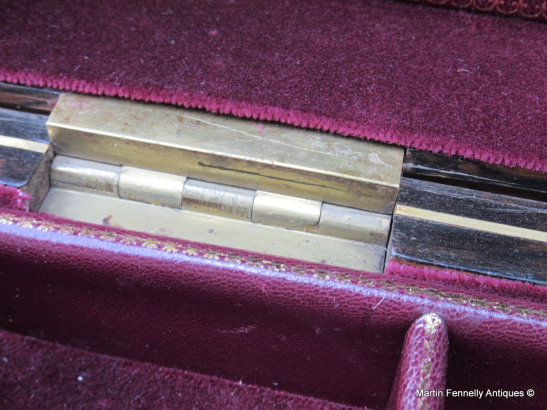 The box has had the interior of the lid professionally re-lined. The box is in excellent condition as shown with an attractive polished finish which enhances the patina.